Lighting fixtures are a Greenwich Metal Finishing specialty. Whether you are a homeowner, contractor, lighting director, architect, or interior designer, Greenwich Metal Finishing offers complete in-house resources to restore or fabricate any lighting fixture. 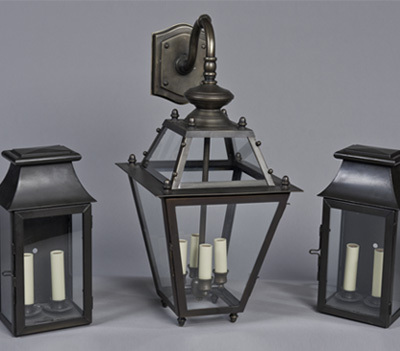 Greenwich Metal Finishing has an extraordinary team of metalcrafters, casters, welders, polishers, platers, and electrical technicians to restore and fabricate lighting fixtures. It’s not just our word – our work has been featured in leading interior design magazines. Best of all, because all our work is done on-premise, you can be assured of prompt turnaround. For a free estimate, email Greenwich Metal Finishing a digital photo along with dimensions. Pickup, delivery and installation services are available within Fairfield, Westchester, and Putnam counties, New York City, Northern New Jersey, and Long Island.